So here are the last two projects I made with my Lucky Girl Crafts kit. 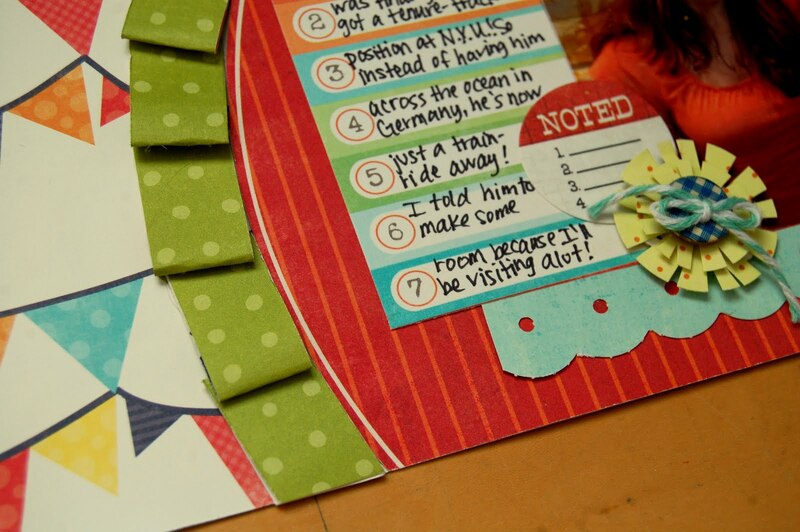 Except for the mini letter stickers, all of the supplies I used on this one are from the kit. I made the yellow flower by snipping 2 different sizes of punched circles and then layering them using popdots. 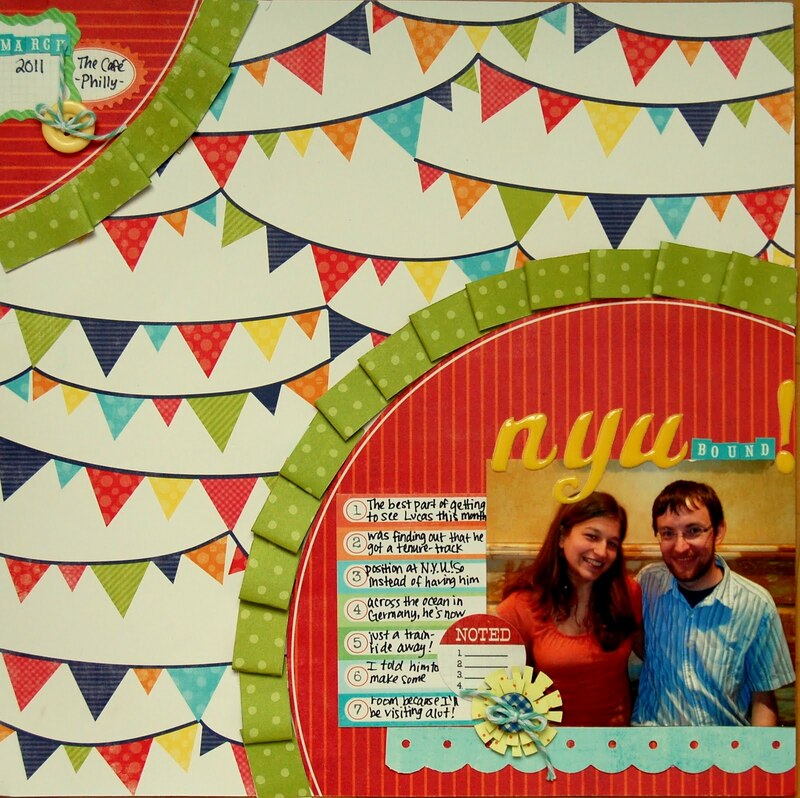 I used a sketch from Scraptastic Club. And I had a few scraps left from my kit, so I put together this little bookmark.